We look at the five best laptop free setups available and find out why an all-in-one unit may be the best choice for people wishing to DJ without a laptop. The most popular way to begin DJing is to buy a DJ controller to playback and control music directly from your laptop. Controllers offer DJ's great value for money and can cost a lot less than a mixer with stand alone players. But the extra cost of buying a laptop and DJ software can really discourage some aspiring DJ's. So is it possible to DJ without a laptop in the modern day? Let's find out. When I first started DJing, every DJ that I knew was mixing without a laptop. It seems strange having to explain what this setup consisted of, but DJing has changed so much since then. DJ's who are just starting out will do some research, and it will seem that the only option is a setup that uses a laptop. Should I DJ without a laptop? Some DJ's simply don't want to buy an expensive laptop on top of already expensive DJ kit. I hear ya! I struggled to afford a laptop after moving over to digital DJing and saved for a long long time. 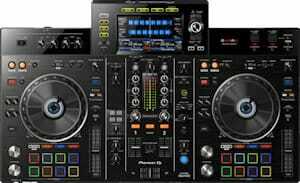 The main problem was finding a powerful enough laptop to run DJ software, at an affordable price. And then you have to fork out again to buy the software! If it's just a case of saving a little longer, I'd say keep saving. Don't cut your setup short just because of a few months saving. Many mobile DJ's will still want to use a laptop at home, but they want to DJ without a laptop at their gigs. This may be due to people dancing close to the booth with drinks that could spill on it. Or maybe you just want less kit to carry to every gig. Whatever the reason we have something to suit your needs in the many options below. Some of you just don't like the thought of DJing with complicated software. In all honesty, most software looks a lot more complicated than it actually is. Many programs can be simplified by removing options from the interface, most are beginner friendly. If this sounds like you then take a look at your options HERE before you decide. Some of you just don't want to use software and don't like messing with computers. It's all personal preference, but if that's the case take a look at your options below for some simpler setups. If you've heard stories that some clubs won't let you use a laptop in the DJ booth, understand that I've never actually encountered this. I know that this is happening as I've seen posts directly from club owners, but it's rare. Some clubs actually expect you to take your own DJ controller, the club setup is just there for backup. If any of this has changed your mind, see my list of the top 10 beginner DJ controllers HERE. If you still wish to DJ without a laptop check out the available options below. 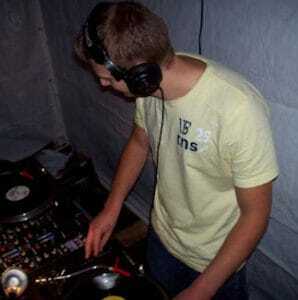 Back in 2001 I mixed my first two tracks using turntables and a mixer. This is known as the traditional DJ setup, music is played using vinyl records and the only other thing you'll need is speakers! This setup is lots of fun, but the cost of buying records every month is going to cost you a lot more than a laptop. But if you can get hold of some bulk packs of records that DJ's very often sell, you'll be laughing. If money is no object this setup will be a great way to DJ without a laptop. The traditional DJ setup is still very popular, but to avoid high vinyl costs you'll unfortunately need to use it alongside a laptop with a DVS. This is basically the same as the traditional DJ setup but instead of turntables you'll be using multi players/CDJ's. And as with the first option the only other thing you'll need is a set of active speakers. Multi players feature a USB port that will let you plug in a USB storage device containing your music library. So you could use a thumb drive or even a larger hard disk drive to play your set. Some multi players (like the CDJ-350 in the picture) will also let you play CD's to broaden your options. This is a very popular option for those that wish to DJ without a laptop. This setup is very affordable and it will cost you much less than DJing with turntables in the long run. And you can mix purely digital files for that crystal clear audio quality listeners crave. An all-in-one DJ controller will offer the most creative DJing experience possible for the DJ without a laptop in their setup. An all-in-one unit like the Pioneer XDJ-RX2 (pictured above) will offer a ton of options very similar to a laptop option. Most DJ's now accept that you can do a lot more with a controller-laptop combo than you could ever do with separate players. The all-in-one controller is the next best option if you want the ability to drop in loops, effects, and hot cues while seeing your whole track as a waveform. Unfortunately this technology is still very new so there are not many good options available. The two best all-in-one controllers you'll find are the Pioneer XDJ-RX2 above, and the Denon MCX8000 below. The good thing about the Denon unit is that it will also let you play from a laptop, so if you change your mind it's no big deal! Or maybe you're a DJ that doesn't want to take your expensive laptop to your gigs, but would still like to use it at home? That's understandable, nobody wants a bunch of sweaty ravers dripping all over their macbook pro! The MCX8000 will be the controller to get that will allow both options. DJ without a laptop and replace it with a device! 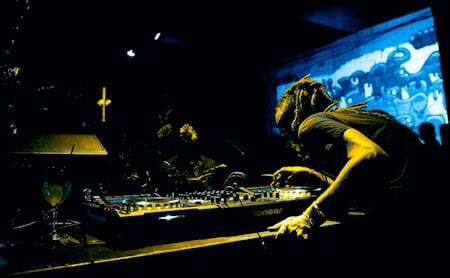 Some DJ's wish to DJ without a laptop, but they are open to DJing with a device, like a phone or a tablet. If this sounds like you then you have some really cool options to choose from. These controllers let you link up your device and DJ using the controller in conjunction with an app. My favourite device controllers at the moment are the Reloop Beatpad-2, and the Reloop mixon 4, both pictured below. They both let you slot your device into the back of the unit and mix tracks from your music library. The Mixon 4 is the most feature packed of the two, but they both offer great features. It really depends on your needs, but these are professional grade, well built controllers. You can read a little more about the beatpad-2 HERE and the Mixon 4 HERE. It's possible to DJ a party using nothing but your phone or tablet! I wasn't sure whether to add this option as you are still using a type of computer based DJing.. But I wanted to cover all options, after all if you're using a device you're still DJing without a laptop. It's similar, but not the same. This would be more of an option for people that do small house party's etc.. But it's still fun for a quick mix whenever you feel like it! Or it could appeal to DJ's that travel a lot and are away from their equipment for long periods. Apps like Algoriddim Djay (pictured above) will let you do some amazing things. You can add loops and effects to you sets, set cue points, drop in samples and even record your sets. How cool is that? Now you know the best ways to DJ without a laptop you can take what you've learned and build your dream setup. If I was in your position and was certain I didn't want to include a laptop in my setup, I'd think of the future. What type of DJing do I want to do, and do I want to play in clubs? Or do I want to be a bedroom DJ and do the odd house party? Or maybe go all out and start a mobile DJ business.. There are so many options, but to tick all of the boxes you're best option is the all-in-one units. It's just the fact that you can do so much with them and you're never going to get bored. These are suitable for all skill levels, even the XDJ-RX2 mentioned earlier. If you're a beginner these units will grow with you for many years to come. If you're a mobile DJ you have a portable all-in-one unit that can perform every function you could possibly need. And if you're a club DJ you could do the sickest of performance mixes. These things would never be possible on independent players. And something everybody that plans on DJing for crowds should check out is my crowd reading article > HERE. You'll never nail a DJing gig without it!